Chevy Camaro ZL1 owners can order performance upgrades from LPE to be able to outperform the Shelby GT500. Compared to a factory 2012 Chevrolet Camaro ZL1, the Shelby GT500 will blow the Camaro away with the recently announced horsepower of 662 that the 2013 GT500 is certified to have. A stock 2012 Chevrolet Camaro ZL1 pumps out 580 horsepower and 556 lb. ft. of torque and can go from 0-60 in just 3.9 seconds, turn the quarter mile in 12 seconds and has a top speed of 185 mph. That is impressive, but it’s still no match for the daunted Shelby. But Chevy ZL1 fans don’t have to take a back seat to the Shelby GT500 any longer, because Lingenfelter Performance Engineering has taken a ZL1 and has recently run the quarter mile in 10.79 seconds, at a speed of 134.36 mph at Muncie Dragway. The 30 year-old performance tuner in Indiana, also became the first to break the 200 mph barrier in a brand new ZL1, topping the speedometer at 202.67 mph at the Continental Tire North America Uvalde proving grounds in Texas. The performance company achieved the feat by upgrading the stock ZL1 with their own specially designed CNC-ported cylinder heads and a performance GT9 camshaft. They also added a 2.3 upper pulley and a five-percent overdriven bottom pulley to boost performance for the stock supercharger. Next they added a high capacity intercooler reservoir, larger high-flow injectors, an LPE high flow intake with race air filter, boosted voltage for the stock fuel pump and a custom ECU calibration. Underneath, the ZL1 was shod with Nitto drag radials to get the traction needed to run the quarter in the 10 second range. The good news for Chevy Camaro ZL1 owners, is that Lingenfelter will be offering three different performance packages for those enthusiasts looking to compete with the GT500′s performance. Not only can they can compete, but the new power upgrades will outdo the GT500’s announced 662 horsepower. LPE packages will range from 630 to 700 horsepower. While LPE does’t guarantee the performance kits will allow your ZL1 to run the quarter mile in the 10’s, its a significant increase from the factory 580 hp and 556 lb-ft of torque figures. 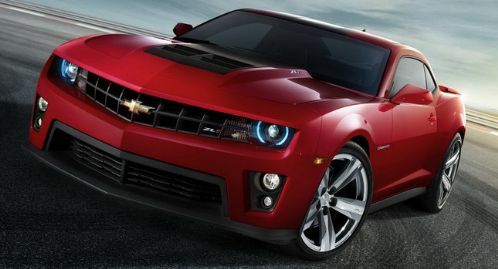 And it looks like there are other tuners who will be offering performance upgrades for the ZL1. Redline Motorsports in South Florida, has taken a new Chevy ZL1 and run the quarter in 10.32 seconds at 134+ mph. So it looks like there will be plenty of options for ZL1 owners if they want to upgrade their ZL1 to compete with the Shelby GT500. word is that evolution picked up 50+hp from the 2013 gt500 with just a tune, ran 9.95 1/4 with a total of 2900$ worth of modds new wheels and tires included in price.seeing the price of wheels and tires not much left for other modds.